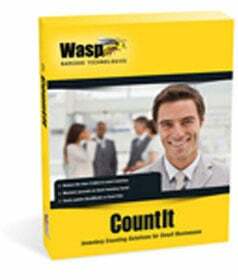 Wasp CountIt is an affordable, QuickBooks compatible software program dedicated to counting inventory. Download existing inventory information from QuickBooks directly to the mobile device, take inventory, and send the updated count data back to QuickBooks. If barcode labels are required, easily print these barcode labels from within CountIt to Wasp barcode printer or other laser printer. Programs such as QuickBooks don"t work with portable data collectors to verify that on-hand inventory quantities are accurate. As a result, businesses are forced to use a slow, manual (pen and paper) inventory counting process. Then inventory counts have to be manually re-entered into QuickBooks. This manual process wastes time, money and leaves too much room for error. That"s where CountIt comes in. The Wasp 633808341237 is also known as Wasp Bar Code	633808341237	.